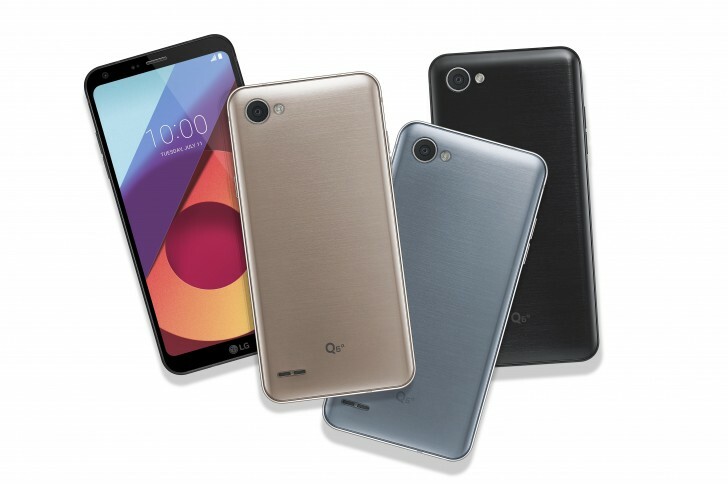 LG has officially launched the Q6 in India. The phone is being sold exclusively through Amazon India. The LG Q6 is modelled after LG's current flagship smartphone, the G6. The Q6 looks nearly identical from the front, with a near edge to edge glass with curved corners. It even has an aluminum frame with increased impact protection. The main attraction here is the display. Following the same 18:9 aspect ratio as the G6, the 5.5-inch display on the Q6 has a resolution of 2160x1080, more than any other phone in its class. It's worth mentioning here though that while the Q6 display will have extra height, the surface area of the display will still be less than competing 5.5-inch 16:9 displays due to the way aspect ratios work. The rest of the spec sheet will likely not blow you away. The Q6 is powered by a quad-core Qualcomm Snapdragon 435 processor and has 3GB of RAM and 32GB of expandable storage. On the back is a 13 megapixel camera and on the front is a wide-angle 5 megapixel camera. The LG Q6 is available in Astro Black, Ice Platinum and Terra Gold. At INR 14,999, the Q6 is a bit expensive for the specs on offer but it does have the unique tall aspect ratio display and premium build quality. LG also provides one time screen replacement guarantee within the first six months of purchase.